I’m currently sitting in the cosy surrounds of Brickwood. This tiny brunch spot, right in the heart of Clapham Common is fast becoming my new favourite place to wile away a couple of hours on a Saturday. And it could steal the title of ‘best brunch in Clapham’ if it’s not careful! Inside, you’re greeted by so many delicious homemade cakes, scones and fresh sandwiches that I’ve barely even noticed the menu before making up my mind on what to have. The brunch menu itself (served up to 3pm, my kinda brunch time!) is not your average. How does corn fritters with roast vegetables, halloumi, beetroot creme fraiche and poached egg sound? Or maybe smashed avocado with chorizo and poached egg on fresh sourdough bread straight from Bread Bread the artisan bakers in Brixton Market? Needless to say, it takes me forever to decide what to have. And without my favourite eggs royale to fall back on, I’m on a mission to try everything. 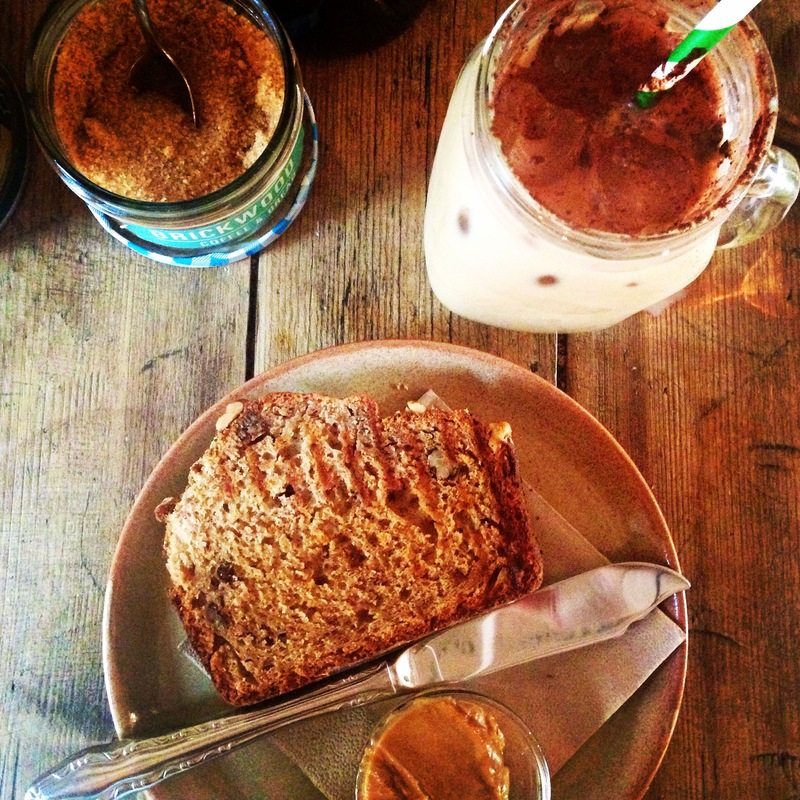 Today, I decided to go for the banana and walnut bread, served toasted with whipped espresso butter. Delicious. 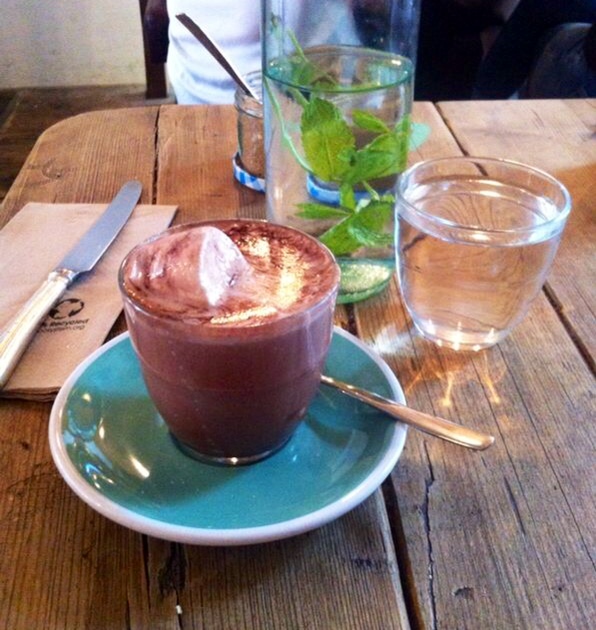 I have it from a good source (my housemate Lizzie) that their hot chocolate is ‘the best ever’. Very high acclaim and I’m inclined to believe her! Across the road I can just about see Starbucks and I wonder why I ever sat in there to chat, work or even just grab a coffee to go. Because what most Starbucks and chain-coffee stores lack is character, and Brickwood has that in abundance. Your iced coffees will be served in mason jars, your table sugar is stored in tartan-lidded jam jars, your tush will sit comfortably on leather stools and couches. The ceiling is covered in old canvas coffee bags, the walls are exposed red brick, the floors are rustic oak slatted boards. And above all that, the staff are incredibly lovely. And just if they haven’t done enough to make this a must-brunch spot in Clapham – they have Gluten-free bread available from The Flour Station, and their eggs and bacon are free-range and organic. 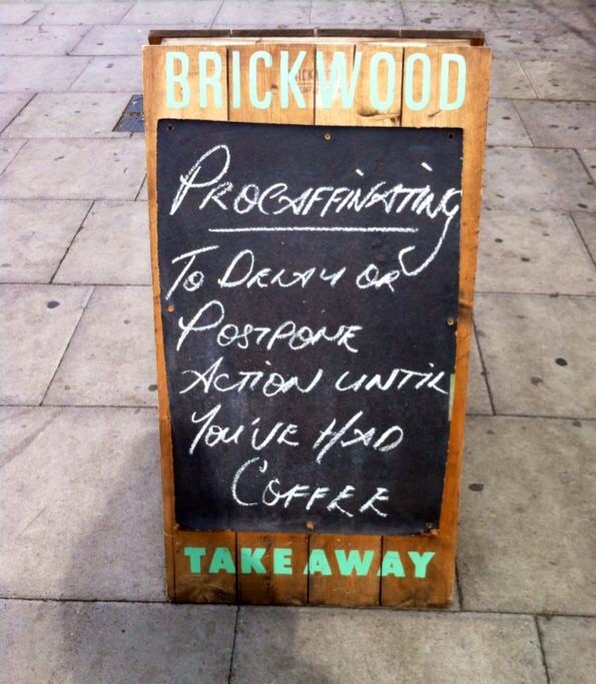 If you haven’t been, it’s time you visit Brickwood this weekend.